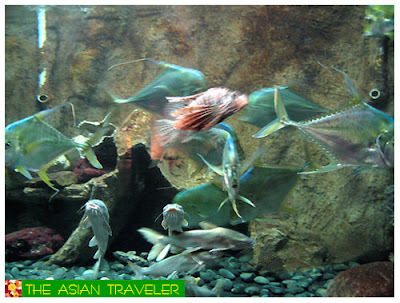 Soon after we went to Underwater World Xiamen located near the Gulangyu Ferry Wharf. 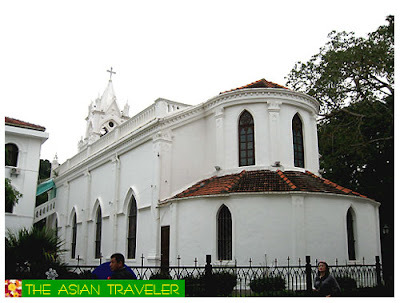 It covers an area of 175,000 square meters, and its floorage area totals 7,500 square meters. 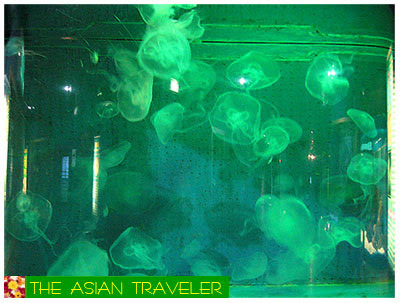 It exhibits 350 varieties of freshwater and seawater fish such as chinese sucker, sturgeon and paddle fish, Japan giant spider crabs, Australia sawfish and seadragon. 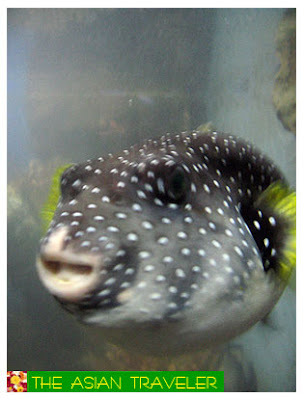 Peru penguins and piranha, arapima, mapfish of Amazon River. 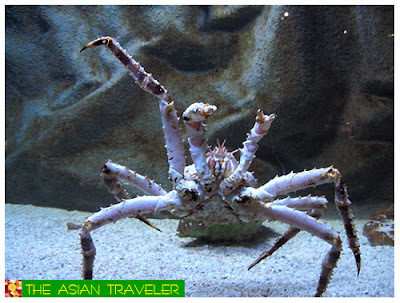 Japan giant spider crab is the largest known crab with a weigh reaching 30kg, that can be found in the deep waters (about 50-300 metres) in Northern Japan. A male one measures as long as 4 metres cross its claw tips. 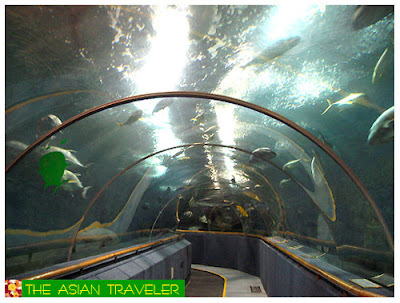 Walking along under the 80-metre tunnel and 1.5 meters wide, visitors get thrillingly close to the sharks, stingrays, giant groupers and schools of coral reef fish. 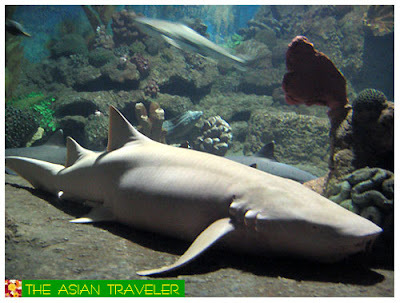 It also includes the world largest specimen of sperm whale and its skeleton, sea hall, penguin hall, fresh water fish hall, and dolphin and sea lion performance hall. 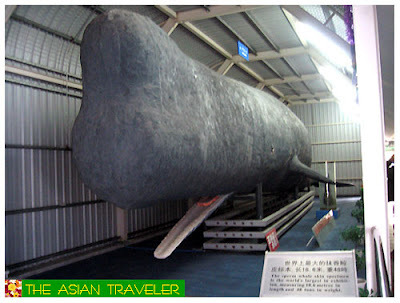 The sperm whale skin specimen in exhibition, measuring 18.6 metres in length and 48 tons in weight. The world's largest and most complete sperm whale skeleton specimen consists of 232 pieces of bones. 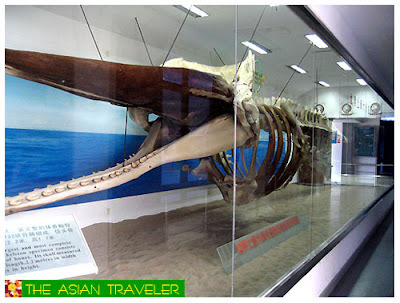 Its skull measured 6.2 meters in length , 2.2 metres in width and 1.7 meters in height. 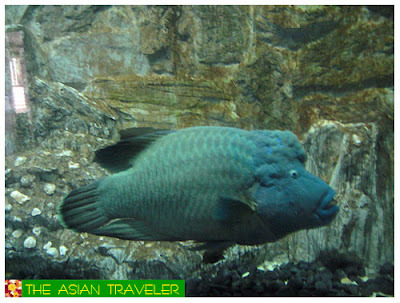 Underwater World Xiamen is open daily from 8:00 am to 6:00 pm. 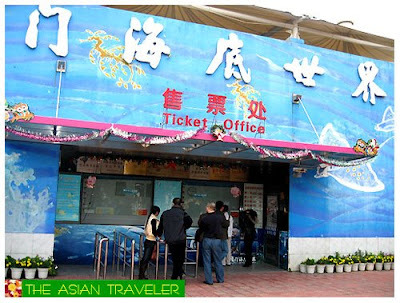 Admission Fee is 70 Yuan per person. 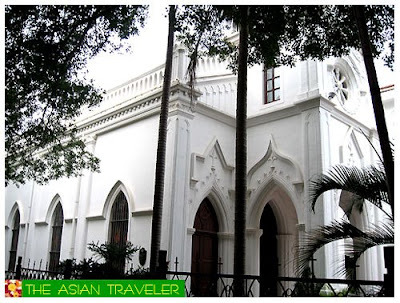 There are also some notable features of Gulangyu Island including the Christ the King Church, which was built by the Spaniards in 1917 with a Gothic architectural style, and has a land area of 220 square meters located at Lujiao Road. There is the Celebrities World with more than 70 wax portraits of Chinese and foreign leading public figures. 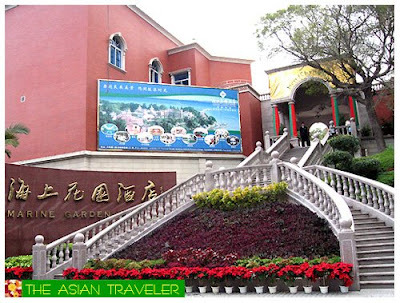 We also stumbled upon a hotel named Xiamen Marine Garden. It is a four-star hotel with three sides facing the sea located at Shuzhuang Garden. 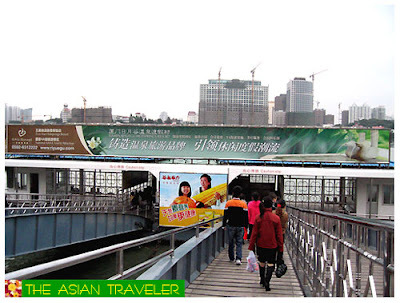 Soon after we decided it was time to go back to the city proper, so we headed to the Gulangyu Ferry Terminal. I always liked your pictures. They are always of such interesting places I normally wouldn't see. 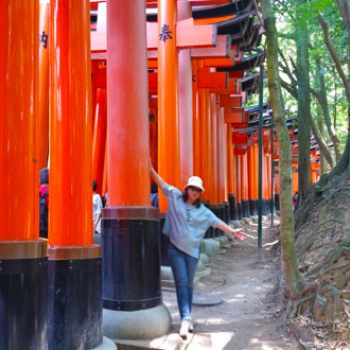 Nice blog you have here:) I wonder when I could do the same traveling like you do but I do adore your site. Take care on your travels!